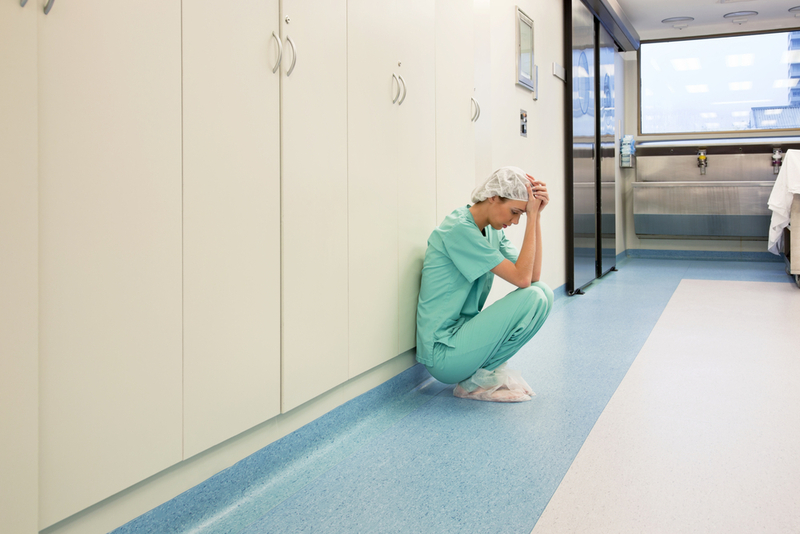 So doctors are sick of medicine: What can we do to fix that? There is no question that some physicians are inherently more talented, more dedicated, and more skilled than others. In every hospital, if you speak to staff members privately, they’ll tell you which surgeon to see for a slipped disk, a kidney transplant, or breast cancer. They’ll tell you which of the anesthesiologists they trust most, and which cardiologist they would recommend to someone with chest pain. But none of these recommendations are based on simplistic metrics like readmission rates or even mortality rates. They are based on observations over time of the physicians’ ability, integrity, and conscientiousness — all of which are tough to quantify. In my own line of work, anesthesiology, I often take care of patients who need chest surgery. They have serious illnesses such as lung cancer, emphysema, and ALS — the bucket-challenge disease. These high-risk patients don’t all have good outcomes, though I like to think that my management of their anesthesia care helps most of them return safely home. Do high patient satisfaction scores correlate with better health? Or higher quality care? So far, the answer is no. A recent study of hospitalized patients showed that many patients prefer “shared decision-making” with their physicians, but it results in longer inpatient hospital stays and 6% higher total hospitalization costs. A prospective study of over 50,000 clinic patients showed that the 25% who were most satisfied with their care had higher odds of inpatient admission, greater total expenditures, greater prescription drug expenditures, and — perhaps most surprising — higher mortality. I can easily see how that could happen in the treatment of pain after surgery. If you gave every patient enough morphine or Demerol, you wouldn’t hear complaints of pain. But the patients would be sleepy, wouldn’t want to get out of bed, and would run a higher risk of breathing problems and blood clots due to inactivity. Dr. Jauhar concludes that the solution to satisfaction as a physician is to settle for less. He looks to medical students, who are “not so weighed down by great expectations,” to be the physicians of the future who won’t mind less money and prestige. But here is where Dr. Jauhar misses the heart of the issue. Most physicians didn’t go into medicine thinking to make a fortune — we leave that to the entrepreneurs and investment bankers. Most of us never expected to be treated like gods, with the possible (tongue-in-cheek) exception of our colleagues in cardiac surgery and neurosurgery. 1. The surge of uncritical belief in “evidence-based medicine” has led to rigid algorithms — cookbook recipes, really — for patient care. Experienced physicians know these algorithms are often a poor fit for patients with multiple medical problems, and must be ignored or subverted for the good of the patient. At the same time, the physician may face criticism or sanctions for not following protocol. 3. The unchecked power of regulatory agencies — including CMS and the Joint Commission — is growing, while their reason for being is the constant creation of new rules that get pettier by the day. These proliferating rules have become a dangerous distraction to physicians and nurses, and take time away from their patients. Encouraging the medical students of today to settle for less isn’t the way to get the best and brightest to become the physicians of tomorrow. As a society, we need to push back hard against today’s flawed rules, laws, algorithms and metrics that promote mediocrity and standardization, and provide all the wrong incentives in healthcare. That’s the only way that all of us — physicians and patients — will be able to enjoy the experience of individualized, personal patient care. After all, the “human moments,” as Dr. Jauhar rightly points out, are the best part of medicine. Karen S. Sibert is an associate professor of anesthesiology, Cedars-Sinai Medical Center, Los Angeles, CA. She blogs at A Penned Point.